WILBRAHAM- Elizabeth Louise Shaw, 89, of Springfield passed away peacefully on Wednesday morning, April 18, 2018, at Wingate of Wilbraham after a long, exciting life which included many years on Broadway. She was born and raised on a farm in Granville Massachusetts and was very proud of her Scottish heritage. Betty attended local schools and graduated from Westfield High School with a love of cheerleading and theater. She loved to act, sing and dance. At the age of 18 years old, vivacious Elizabeth Shaw moved to NYC in search of fame and fortune as a singer and dancer. She became a Broadway Actress with roles including; Grease, No No Nanette, Phantom of the Opera and A Little Night Music. She also performed in numerous Broadway choruses with her beautiful voice. Betty performed with many notables including Barry Bostwick and Colleen Dewhurst. She recalled being introduced to Elizabeth Taylor; “It was the first time I was left speechless, Her eyes were mesmerizing - not purple, not blue but somewhere in between. She had this aura about her” While in NYC she also showed her beloved Yorkshire Terriers at the Westminster Dog Show. Her beloved Yorkshire, Star, even appeared in a Broadway show and received a standing ovation, which Betty laughed about and often commented “Even I never got a standing ovation”. Betty returned to Massachusetts after a long and fulfilling life and settled in Springfield. She was a remarkable woman who loved all animals, had a green thumb and was a people person with a kind heart. She loved to entertain her friends and was always very generous. The simple things in life like sunshine and summer made her happy. 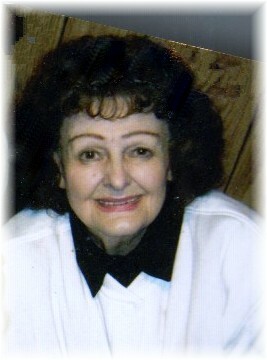 Betty was a sweet, friendly, classy, phenomenal woman. Her greatest love was for her dogs and her friends. She will be dearly missed by everyone she called friend. 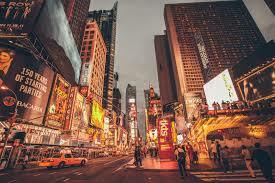 She leaves her many friends here and a lifetime of memories and friendships in the Big Apple. At Betty’s request all services will be private. Her ashes will be interred privately. Betty’s care and cremation have been entrusted to Ratell Funeral Home, Indian Orchard.